What does a rooftop farm do for a university? Should grad students have an e-portfolio? [post_content] => Editor’s note: this is the second of an occasional series, People to Know, profiling notable people working in Canada’s higher education community. Follow the hashtag #peopletoknow. 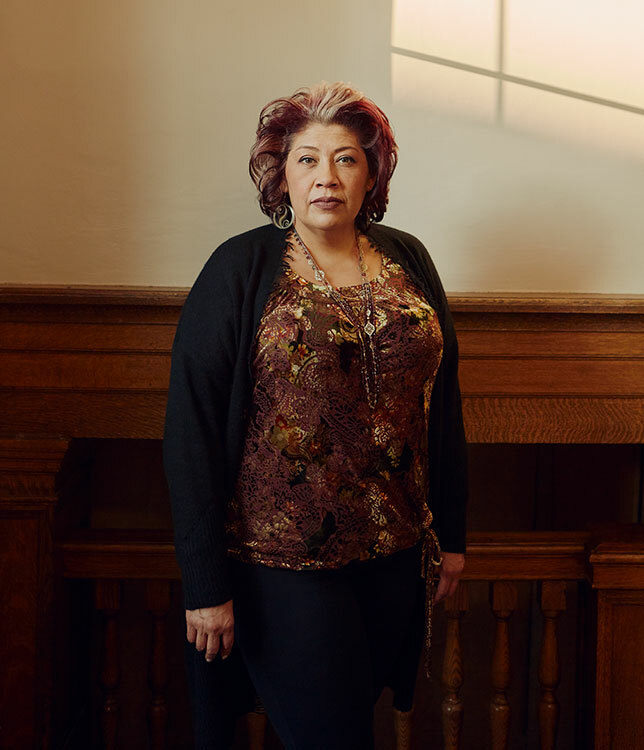 Kim TallBear has dedicated her professional life to speaking truth to power, inside the academy and out. Dr. TallBear, a professor in the faculty of native studies at the University of Alberta, says she leverages her privilege – her tenure; her seniority as holder of the Canada Research Chair in Indigenous Peoples, Technoscience, and Environment; and the respect she holds in her field – to turn the dial on the public conversation about science and Indigeneity. 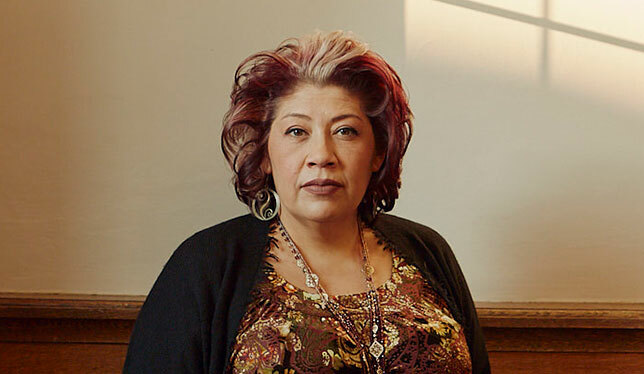 She is a regular contributor to the Media Indigena podcast and a frequent media commentator on issues related to Indigeneity, science and sexualities. With nearly 26,000 followers on Twitter, her responses to public controversies – like U.S. Senator Elizabeth Warren’s claims to Cherokee ancestry – have bolstered her influence as a public intellectual. While some academics may hesitate to step into the public arena with such energy, Dr. TallBear, a member of the Sisseton-Wahpeton Oyate in South Dakota and a descendent of the Cheyenne and Arapaho tribes of Oklahoma, says it’s part of the everyday work of showing up in solidarity with other Indigenous people, particularly younger people. She brings that same sense of responsibility to her work at U of A, where she leads the Indigenous Science, Technology, and Society (Indigenous STS) Research and Training Program. Indigenous STS is an international hub dedicated to advancing Indigenous self-determination and self-governance through Indigenous scientific literacy and techno-scientific projects. It has connected Indigenous scholars around the world who are effectively working to change how science is done. It’s an effort that challenges the assumption that science comes from, and is practiced in, a neutral space by examining how Eurocentric and colonialist thinking shape mainstream understanding – to the exclusion of Indigenous ways of knowing and being. [post_excerpt] => Whether in her Indigenous Science, Technology, and Society lab or on Twitter, Dr. TallBear pushes boundaries to make space for the next generation. [post_content] => A teaching philosophy statement (TPS) is part of most academic job applications, but it’s much more than that. How do you make one that stands out? A technically strong TPS places learners at the centre, serves many purposes, and leverages scholarly literature on learning and teaching. It is a living document that can help you get a job, keep that job and guide you to do a better job. To complement current resources on writing teaching philosophy statements, we want to highlight important areas that are often neglected in typical recommendations for how to approach a TPS. Writing a TPS begins by asking the following: What are the goals and knowledge level of the learners in your classes? What do you know about their backgrounds and needs? Consider how you use that information to create an equitable, accessible, inclusive, diverse and culturally responsive learning environment. How will you support the learners in achieving their educational goals? Teaching does not happen without considering the learners, and an important starting point is the literature on teaching and learning. When conducting our disciplinary research, we take a scholarly approach. This same approach, we argue, should be taken when writing a TPS. A teaching philosophy should describe how the writer incorporates literature on learning and teaching in a scholarly way into their teaching practices. A TPS that shows an over-reliance on intuition communicates that the writer is doing a disservice to the learners, just as intuition might suggest that students will learn better by following a specific learning style, despite a lack of evidence supporting that hypothesis. Collegial processes such as tenure and promotion often require a TPS but not all of its uses are that instrumental. 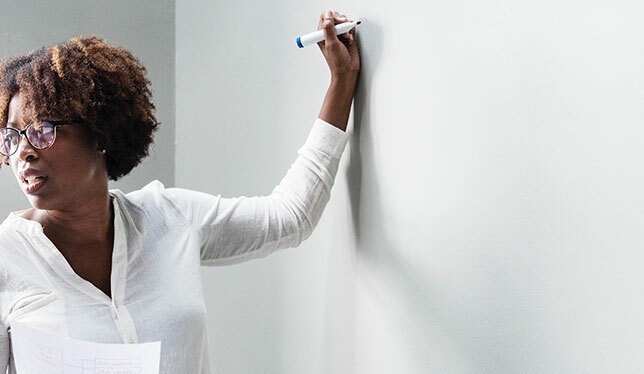 A teaching statement can also serve as a reflective document that lives and changes over time and is a key part of our self assessment as educators. Regularly updating and reviewing a TPS tracks the growth of the individual in their teaching. As well, a good TPS often plays a central role in teaching award dossiers, which are built around the applicant’s ability to share thoughts about their craft. We can all agree that no one wants a TPS that is formulaic and bland; however, there are many ways to write an engaging one. Consider how you could share your TPS with others to start conversations about learning and teaching. Your TPS should reflect the context of your teaching, your personality and your classroom experiences. Know your audience: are you writing for peers as part of an award application or for yourself as part of critical reflection on your own practice? One audience that is not well-described in the literature: students. Sharing your TPS with your students can help make visible why you take a particular approach in the classroom. Foundational similarities will exist in all teaching philosophy statements yet each one is based on the individual and becomes stronger when informed by scholarship. You don’t need to portray yourself as the perfect educator in the TPS – rarely are we that for every student. As we change over a lifetime, our abilities and approaches to teaching also evolve: we face new experiences, try new approaches and address challenges. A teaching statement should reflect the past, present and future of your philosophy on education – your evolution as an educator. It is the “embodied” articulation of your embedded classroom practice. If you can live what you say in your TPS, it is authentic, not artificial. The impact on your students of attending to your TPS over time cannot be overstated. You are modelling good professional practice and reflecting on your approaches. The human aspects of your relationships with students can be carried farther and wider than you can imagine. You are training future graduate students to support your work and the work of your colleagues. You are preparing students for their careers and contributing to the evolution of citizens. As for making a TPS stand out? Only you can bring your complement of experiences, personality, expertise and approaches to the learning and teaching environment – let that complement come through. For us, the TPS has given opportunities to deeply reflect on our teaching, engage in scholarship about learning and teaching, ponder innovation and ultimately improve our efforts in supporting our students’ learning. Alison Flynn is an associate professor of chemistry and biomolecular sciences at the University of Ottawa. Gavan Watson is director of the Centre for Innovation in Teaching and Learning as well as associate vice president, academic, teaching and learning, at Memorial University. Jay Wilson is an associate professor and head of curriculum studies at the University of Saskatchewan. [post_excerpt] => A good TPS is a living document and a key part of our self-assessment as educators. [post_content] => While working as an editor for an online proofreading company in San Francisco, Nina Conrad became interested in researching the kinds of services postsecondary students receive outside the classroom to improve their writing. She enrolled in graduate school at the University of British Columbia in 2016 and wrote her master’s thesis on the topic, looking at students’ use of such services, whether paid or delivered by family or friends. Though most scholarship on this subject focuses on graduate students, her study showed that undergraduate students also seek third-party support, and that the kind of help students reported receiving sometimes violates university policies on academic integrity. Coming at this subject from the other side, Editors Canada has tried to clarify for their members how to provide editing services to students without interfering with their learning or violating university academic integrity policies. A professional organization of more than 1,300 English- and French-language editors, Editors Canada released guidelines in 2006 for the ethical editing of student theses and dissertations at the graduate level. But, as University Affairs reported in 2017 – and Ms. Conrad’s research showed – undergraduate students, too, seek editing services, and Editors Canada recognized that the increase in demand required a change to the guidelines. 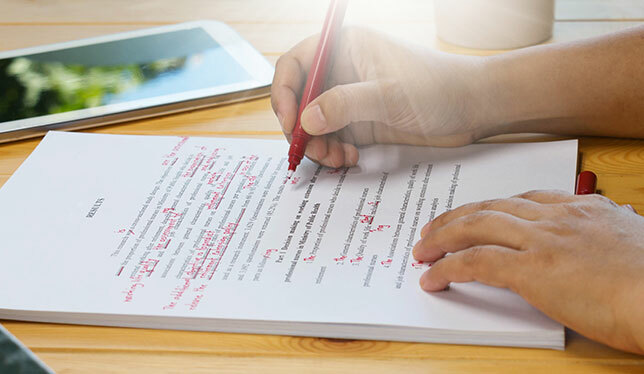 In January, Editors Canada released its updated guidelines for the ethical editing of student work, which address editing written work at all levels of higher education. The guidelines are available as a free download on the Editors Canada website. Mary Rykov, a writer and editor from Toronto, led the project and consulted with university administrators, instructors, writing centre professionals and editors. Dr. Rykov and her team also reviewed similar guidelines, specifically the ones from SENSE, the society of English-language professionals in the Netherlands, which includes editors and writing instructors. This allows flexibility for the guidelines to meet the learning objectives of different courses, departments and institutions. One of the professors who consulted on the guidelines was Stephanie Bell, associate director of the writing centre at York University and an assistant professor in the professional writing program. She wanted to work on the guidelines, she said, because it was a way to bring her perspective as a writing scholar to conversations about what is appropriate when providing support to students. The challenge now for Editors Canada is to get the guidelines into the right hands. They’ve been distributed through Editors Canada’s network, as well as through the Canadian Writing Centres Association and in social media groups, where large communities of editors gather. One group on Facebook has more than 9,000 editors from around the world. Some universities, like the graduate school at the University of British Columbia, endorsed the original Editors Canada guidelines, something Dr. Bell thinks all universities should do. “Ideally the guidelines would prompt a conversation among senate-level committees around what is OK and what is not” in terms of the types of assistance students can expect, she said. She’s also curious about what the response will be from faculty members when students start bringing the permission forms to class. “I think these guidelines just might make the issue more prevalent and increase awareness among faculty of the need for writing support and writing instruction,” she said. Dr. Bell said she believes students want to find legitimate resources to help them improve. “Most of them turn to illegitimate sources of support because they have no other option,” she said. [post_excerpt] => The guidelines require students to have a letter signed by their instructor indicating what kind of editing help is permitted. [post_content] => As failure CVs make the rounds, they confirm that even very successful careers are built on a series of missteps and losses. It’s not the only kind of atypical CV that can help you to reconceptualize your career. 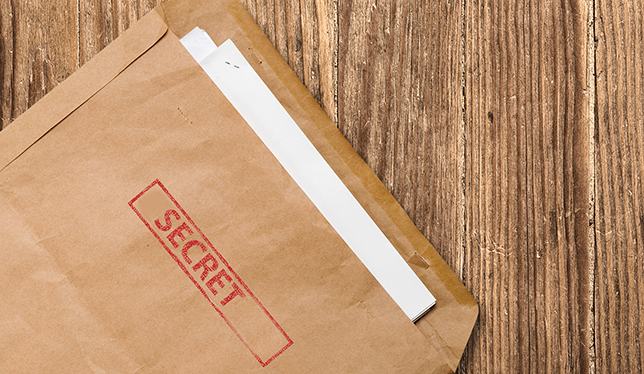 If you’re making a career transition, you may also want to have a secret CV. The secret CV doesn’t contain things you want to hide, but rather things that you’re proud of, and haven’t yet found a way to articulate. It can also house experiences that don't seem to be relevant to your next move, but profoundly matter to you. The time for a secret CV to be created is when you’re struggling to write a resumé for a new line of work. Writing a resumé for an untested career path can feel like you are playing dress-up while simultaneously discarding parts of yourself – sometimes, the most interesting parts. The accomplishments on your old CV have come about because of your time and effort, and represent the skills you’ve built and the relationships you’ve gained along the way. Summing up, say, a dissertation in one bullet point can be painful. Leaving it off altogether can be more so. None of your experiences are lost in actuality, for the very same reason that makes them painful to leave off your resumé: they are part of you. They will continue to inform your perspective, your abilities and your future work, whether or not they appear on a resumé or are detailed in your interviews. As you work through each experience on your resumé, ask yourself what you want your next employer to understand about you. That might mean rewriting the section on your dissertation so that it focuses on the independence of the project, your ability to communicate with people of varying levels of expertise, your volume of research output, or things that are seen as more tangential within academia – like your successful funding applications. Your dissertation’s main argument, its methodology, and its importance to a body of scholarship will likely not make it onto a non-academic resumé. However, instead of seeing your experiences as “wasted,” express the transferrable elements that are most easily articulated on your resumé. Honour the experiences that are important to you, but more challenging to express, on your secret CV for the time being. Your secret CV experiences will continue to be part of you, but they never will be the whole. Honour them, but always keep a fresh page open. [post_excerpt] => The secret CV doesn’t contain things you want to hide, but rather things that you’re proud of, and haven’t yet found a way to articulate.